Hosted by the Faculty of Engineering and Physical Sciences (EPS) at Queen’s, around 200 students from seven institutions in China have arrived at the University for a summer school. The visiting students will get a flavour of both teaching and research expertise at Queen's, as well as an insight into some of Northern Ireland’s most progressive engineering and manufacturing companies. Sixteen members of staff from the institutions in China are also part of the group. The students will attend three engineering programmes, Mechanical Engineering, Chemical Engineering and a General Engineering and Science programme. They will also experience professional skills module and a range of social activities/visits. Pro-Vice-Chancellor for the Faculty of Engineering and Physical Sciences, Professor Mark Price, commented: “It is great to once again be given the chance to welcome these fantastic students from China. 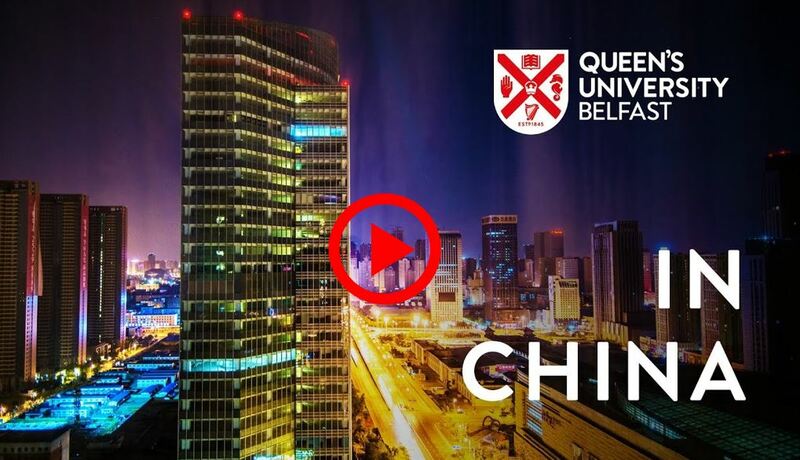 “The Faculty of Engineering and Physical Sciences at Queen’s is delighted to be able to help our friends from China learn something of our education system with a taste of some of the best education programmes in the UK. “It is also a fantastic opportunity to help show them Northern Ireland's great engineering and manufacturing companies. The summer school allows us to strengthen the close links we have always had with China and creates firm foundations and friendships for the future." Queen’s University has been developing strategic partnerships in China for more than two decades. Of the 1,800 international students currently studying here, there is a vibrant Chinese community of over 600 students. Over the past 10 years, Queen’s has invested over $10m in China-related research in areas such as sustainable energy, information technology, food security and cancer research. And during the past five years, staff of the University have co-authored 807 research publications with 184 Chinese Partner Institutions. In 2017, a group of UK Russell Group Universities led by Queen’s, set up a partnership with the top nine engineering institutions in China, in a bid to build major collaborations around research and education. The partnership was the first of its kind and was set up following an award by the British Council, aimed at building higher education links and helping to improve the quality of engineering research and teaching in China. Media enquiries to Emma Gallagher at Queen’s University Communications Office telephone: +44 (0)28 9097 5384.